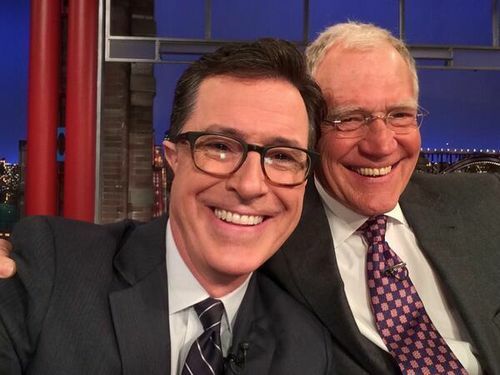 David Letterman’s soon-to-be-successor Stephen Colbert stopped by The Late Show last night to talk about the show’s transition and also to snap a selfie with the late night host. Colbert, who revealed he actually applied for a writing job with the show back in 1997, also pulled out a “Top 10 Cocktails for Santa” list that he submitted 17 years ago. Letterman has announced he intends to retire sometime in 2015.